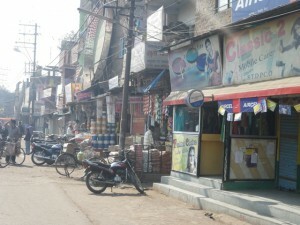 1.the area is well supprted by two major markets called the hamidia and the royal market . 2.the market around the chola road has almost all needed shops like the essential commodities for daily living and also the luxury goods. 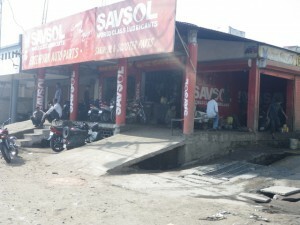 3.The market serves the customer base as far as the new settlemets in Bhopal. 4.The market is however meant for the small lower income groups that inhabit the surroundings of the factory site. 5.The availability factor of the goods is very high in the vicinity. Thus it can be concluded that the area will serve well for the customer base that develops as a result of the remodeling of the factory site. I walked around ARIF NIGAR where I went yesterday. 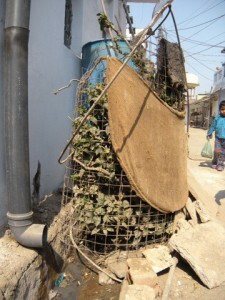 Although, other teams walked wide area, I observed sewage around the particular town miticulously. 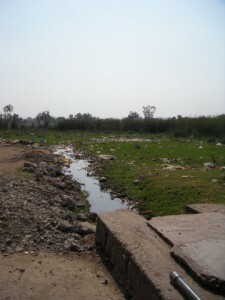 Sewage inters directly to fields and has been accumulated day by day. It also shapes a kind of sand bank used for people doing some activities such as playing card games. 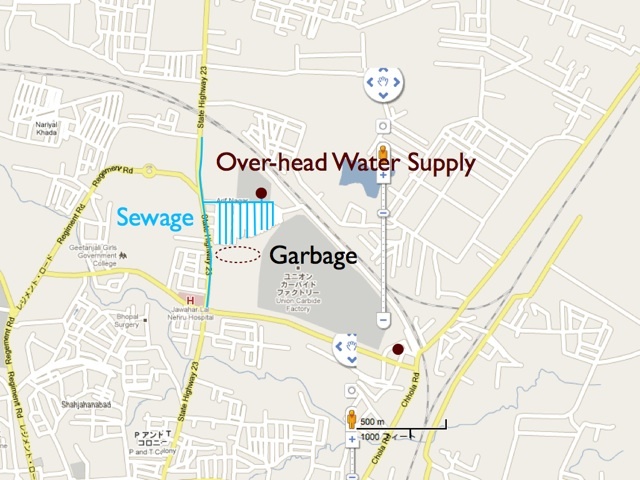 The characteristic of sewage are described bellow. 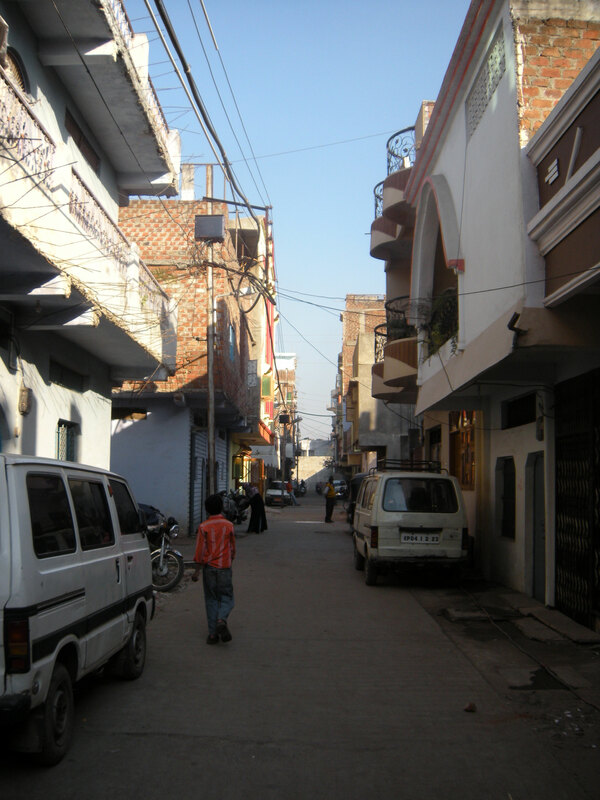 We went around ARIF NAGAR. The people at this site have gathered together to treat graves and the town have becoming bigger. 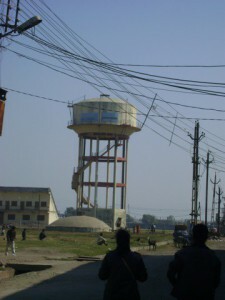 There was an over-head water tank in front of the city, which pomp up water and accumulate it temporarily. 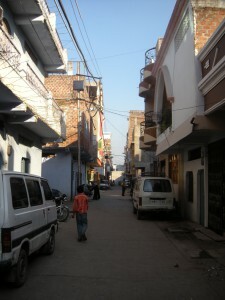 The water is divided into a lot of pipes and go through the town from North to South. The channels of sewage also go through the town as written above. 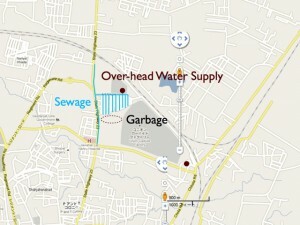 So all of the sewage have been accumulated at the South side of the town. The water through each pipes are pomp up to the water tank at each houses by motor. 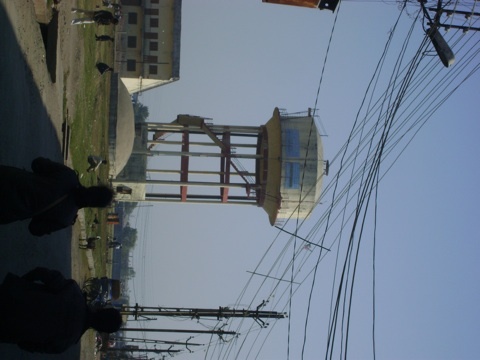 There were also personal water tank around the area. we asked them why did they start living here that is so close to the union carbide site. 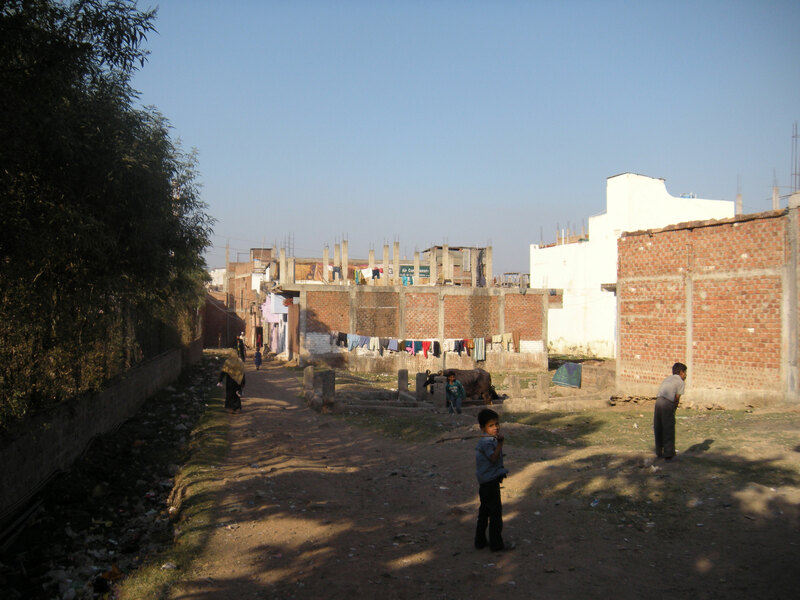 they said that they had to go there because the local leader ARIF AKEEL(city governor) in that place . it was also a bid to strengthen their claim for the compensation money. the water supplied to them now is from the kolar pipeline . before this they had to drink the underground water. 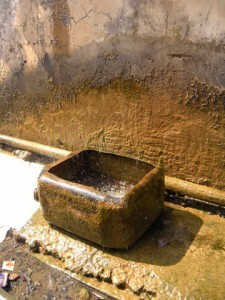 according to the old lady if the water was kept stagnant it would begin to smell and later rodents would be found in it. 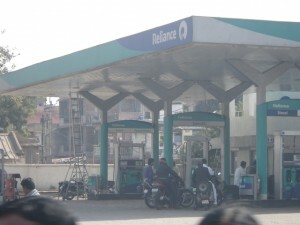 i another interview with a gas victim ,,it was found that the treatment facilities were very improper even till today. the medicines are out of stock and the hospitals are very lazy in providing treatment.however if given a choice they would like to see the area develop and provide employment facilities for their children . money was not an issue and they really laid emphasis on jobs for their literate yet unemployed youth. 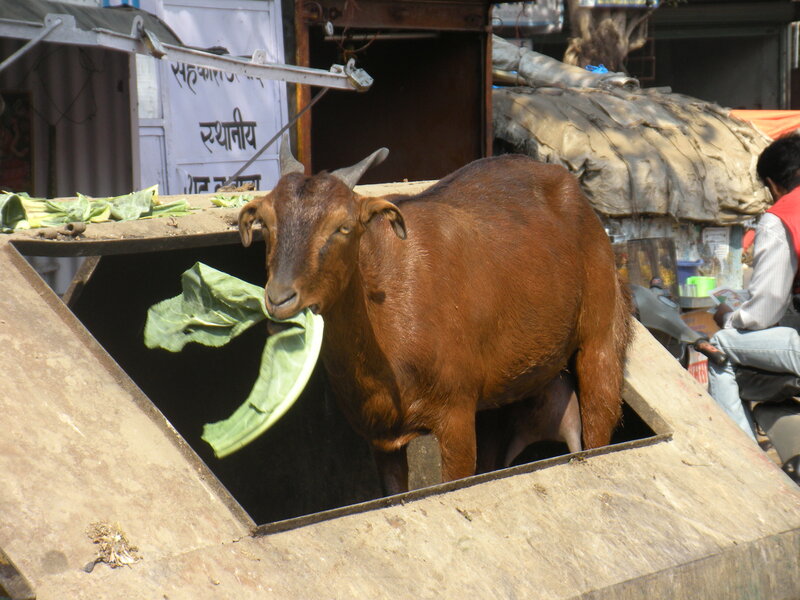 Garbages were piled up at each sides of roads, and spontaneously eaten by goats or dropped into the sewage and continued to remain. Basically, channels of sewage were located around the houses. 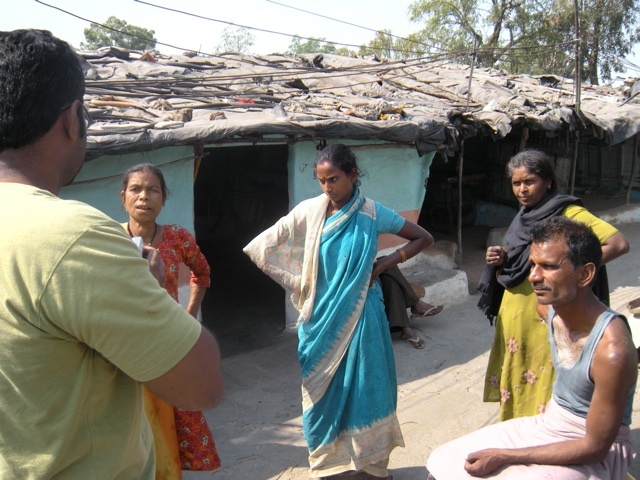 we had to run away to itarsi and after three days when we returned we couldnt go to our homes .we had to camp at arjun singh,s home for five days . i lost one daughter in the tragedy and my one eye has also lost 90% of vision . even now when we stay here the we don]t have access to clean drinking water. a; we got Rs 22,000 in the first time .the dalal took away a big chunk of the money. in the second installment we received onlyRS 8,000 ,rest of it was fines because of the sugar and oil the government had given him. q:why cant u keep the area clean by cleaning it yourself. we do clean it at times but we want the government do do more. 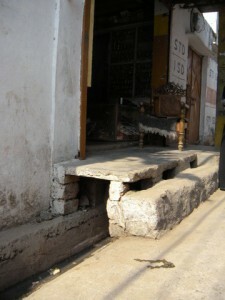 the electricity is cut daly for five to eight hours daily. and they charge us a lot of money for whatever they supply.sometimes we are charged about RS1000 at months and if we complain they threaten to cut out our supply. q:why havent u asked for a public toilet facility? q:do your children go to school are u literate? 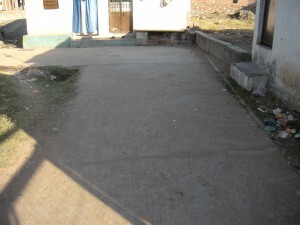 a: we have never been to school but our children do go to the local government school;s nearby. 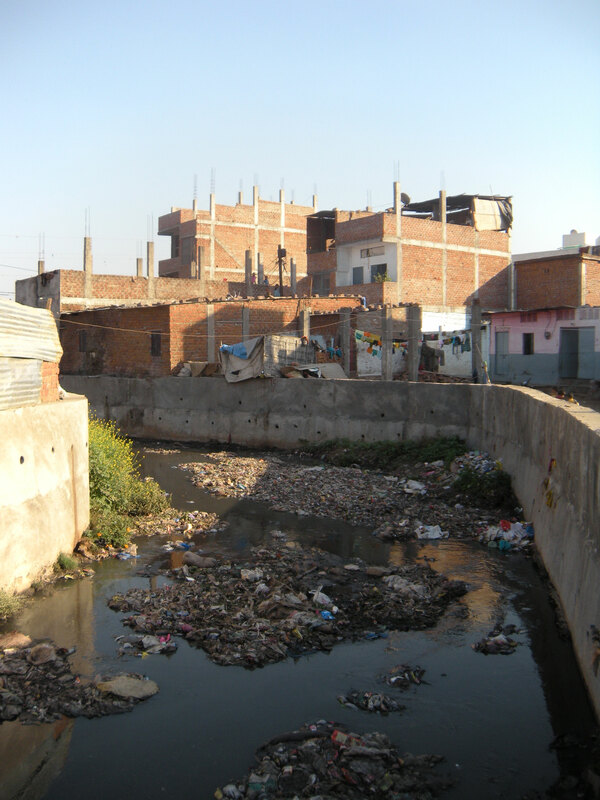 There was a striking contrast between the housing communities on either sides of the sewage. The area studied by our group had more or less the same housing pattern throughout. 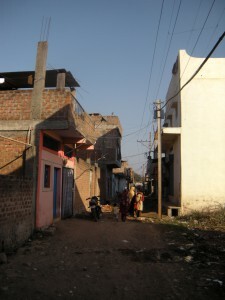 Most of the settlements were constructed in the late 90′s. 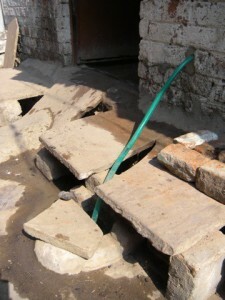 The area on south side of the factory had improper drainage system. Most of it was open and over-flowed onto the roads. However, on the northern side of the settlement the drainage was proper. On this side even the pavements were cemented unlike the other side. The electricity supply was also very unorganized. 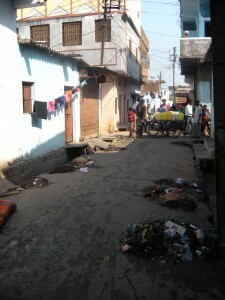 Over all, the settlements seemed very congested and at the same time some part of settlements seemed illegal.